Have you ever had an old pair of jeans that you got new, when they were crisp and hard. In fact they were damn uncomfortable to wear the first month or so. Then after time they softened up a bit and became more supple, they started to mould to your body and the way you wore them left marks and unique patterning on the fabric. It could be where your wallet is in the back pocket or your cell phone in the front, it doesn’t matter what or where it is, it reflects a piece of you and your life. This my friends is what some of us strive for in jeans, a unique finish for a unique piece of clothing, for a unique person, you. Some of us will strive for this type of uniqueness in a watch, very few watches have stood the test of time nor had more of a following with pieces that have changed since their ‘birth’. Rolex. The prime example of watches with ‘patina’ the weathering or aging effect on certain parts of the dial or Luminova. Some extreme cases, even marks and chips and gouges in the bracelet and case are part of the watches’ story and make it a unique item. A real relationship between man or lady and machine. 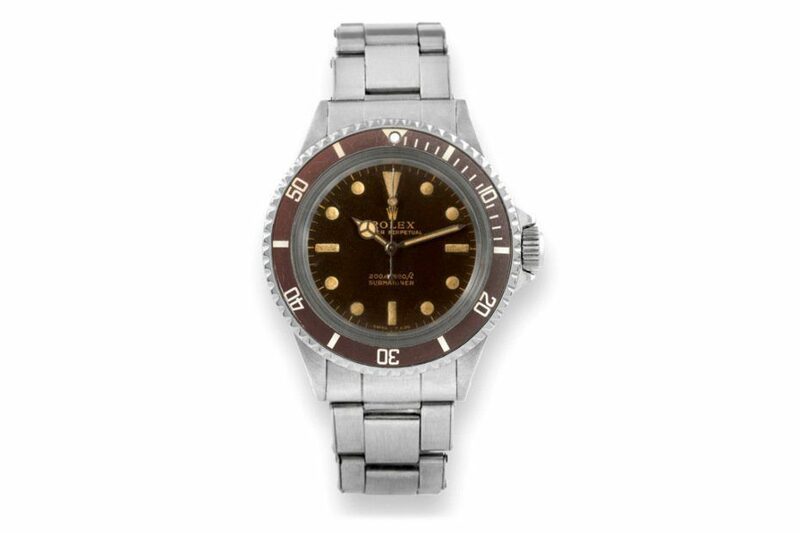 Some great examples of watches with a really different finish are Rolex Submariners with Tropical Dials. The dial has a patina that makes it look more brown rather than the original issue black, and in a way makes it that much more appealling. History with a watch to some is an absolute must, these little time machines do hold a strong relationship with their owners. So why New? Well this is almost too easy to answer, for those of us who just want our watch to be the same forever. The argument is partially because of the way that Rolex makes their new watches. Everything is almost bulletproof (slight exaggeration, ok a massive one) from the bracelet, case, crystal and even the way the dial is finished now, means that any ‘aging’ such as that glorious ‘Tropical Patina’ is definitely a thing of the past. These new watches will look new ‘forever’ if looked after well. So which would you buy? I as a watchnerd would have both, not only because I am greedy but also because both styles really appeal to me. On one hand with the older vintage pieces with real character, you have a piece of history, a piece of individualistic style. With the new Rolex, you will have a piece that will last you a lifetime, and will look just as good as the day it was bought. Who doesn’t love the best of both worlds?